Here at the European Wind Energy Association we often talk about the power of wind energy to fight climate change, create jobs and improve energy security at a European level, but we rarely take time to reflect on how wind energy can directly impact the lives of people in the poorer regions of the world. 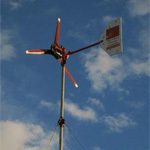 Wind energy can help turn around the fortunes of local communities by doing something as simple as providing a continuous source of water for irrigation. 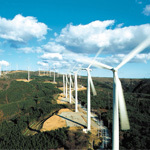 In Mipandi, situated in the Northern Province in eastern Mozambique, wind energy is set to do just that. 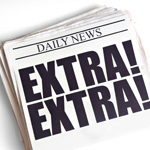 Three important stories involving the further expansion of emissions-free wind power have emerged in the United States recently, and all are generating a lot of media interest. Perhaps the story most heavily reported involved search engine Google making another €69 million investment in a wind farm in Oregon that is slated to become the biggest wind energy facility in the world. 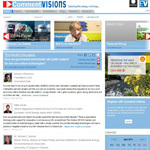 An online discussion forum named Comment: Visions is featuring a pertinent discussion on energy and environment issues this month: ‘How can government and industry win public support for new low-carbon technologies’? Doctors, nurses and lung specialists in Ontario will launch an expensive advertising campaign to promote wind and solar power over the continued use of coal plants in Canada’s most populated province. 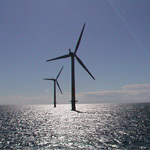 The Ontario College of Family Physicians, the Canadian Association of Physicians for the Environment (CAPE), the Registered Nurses’ Association of Ontario, the Ontario Lung Association, and the Asthma Society of Canada have agreed to launch the pro-renewables campaign in advance of a provincial election held later this year.